Harmanpreet Kaur’s brilliant unbeaten 171 may have been one of the defining moments of the ICC Women’s World Cup 2017 to date, but for the hard-hitting Indian batter, it was just another day at the office. A semi-final against the world’s number one team may not be the stage on which the 28-year-old would have expected to record her career-high ODI innings, but it was – and she did so in some style. With rain delays having reduced the game to 42 overs per side, India saw both its openers dismissed early on but that simply enabled Kaur, alongside captain Mithali Raj, to come in and tear Australia’s bowling to shreds. Raj was later dismissed but that wasn’t going to stop Kaur once she found her rhythm, hitting 50 runs from 4.4 overs alongside young gun Deepti Sharma before hitting back-to-back sixes en route to their 100-run partnership. Having slammed her third ODI hundred, Kaur brought up 150, with her third 50 taking just 17 balls, to place herself as the joint-fifth highest run scorer in ODI history. But, humble as ever, Kaur was quick to deflect any praise onto the wider India team after its 36-run triumph, although there’s no doubting her confidence with the bat ahead of Sunday’s final against host England at Lord’s. Kaur was quick to deflect the praise that came her way to the entire Indian side, but conceded that it was the best knock she has ever produced. “Of course that was the best innings I have ever played. It was my best ODI score and I really enjoyed it,” said Kaur, who had only notched 137 runs in her previous seven games at this ICC WWC. “I hadn’t planned for it. I had thought when I got a chance to bat that I should go with a particular approach for runs,” said Kaur, who played for Sydney Thunder in the 2016-17 Big Bash League in Australia and will turn out for Surrey Stars in the upcoming Kia Super League in England. “Whatever happened, even if we were one wicket down, or two, or three, I wouldn’t let it interrupt my batting flow, I wouldn’t get tensed, because we can bat deep. “That was all I was thinking, that if I get a chance to hit boundaries, I would continue that,” said Kaur, who hails from Moga town in the northern Indian state of Punjab but moved to Mumbai in a bid to pursue her cricket career. 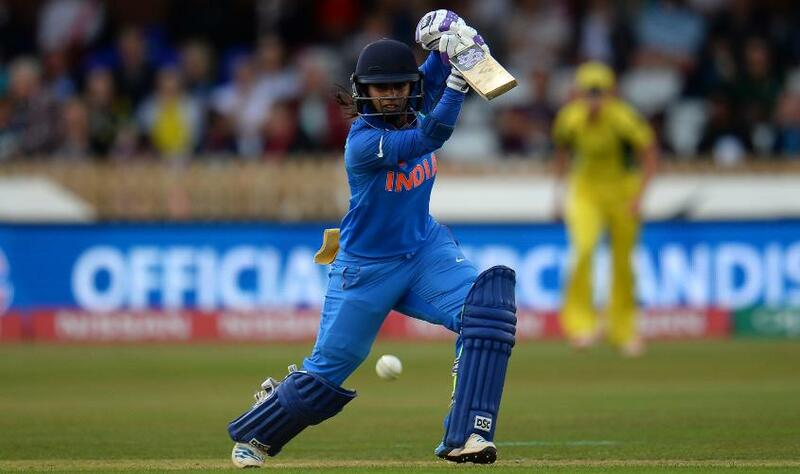 Mithali Raj called Kaur's 171 the best knock she had ever seen. It was a performance that didn’t go unnoticed away from The County Ground, Derby with Kaur’s name trending on Twitter before her innings was even out. She attracted widespread attention from greats of the game, including Virat Kohli, captain of India’s men’s side, while former England captain Charlotte Edwards described it as the best innings she’d ever witnessed. But the biggest praise of all came from Kaur’s own skipper, the leading run-scorer in women’s ODI history, no less, as Raj summed up her nation’s pride. “As an Indian player, that was definitely the greatest knock I have ever seen,” said Raj. “It’s good to see someone from the Indian team doing that, especially at this stage, because it was important for us to come out with that kind of performance to qualify for the final.